If your carpentry has been damaged, you can trust our team to repair it. Our team at Prep-Rite Painting wants to help you keep your home looking its absolute best. We understand that, in addition to a great paint job, you also want your home’s woodwork in good repair to keep your home looking as good as the day you moved in (or maybe better!). To help you achieve these goals without having to hunt around for different services, we at Prep-Rite offer carpentry repairs in-house, alongside our paint work. 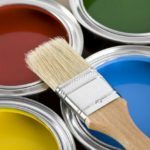 So if you are considering a new paint job but hesitate because of damage to your cabinets or other woodwork that would need to be fixed first, don’t fret. We’ve got it covered. Before painting, our team at Prep-Rite Painting will thoroughly inspect your woodwork, including cabinets, molding, or other features, and give you a detailed estimate of any carpentry repairs needed before painting can begin. We will then make the appropriate repairs, sticking to our high standards for workmanship and customer service. We will make sure that you are satisfied with the results. Once the carpentry repairs are completed to your satisfaction, we can proceed with the paint job. We’ll abide by the same high standards for this job, too, and will be sure to earn your stamp of approval. Our team is highly experienced, and we are proud to bring that expertise to the Raleigh, North Carolina community. If you would like a fresh paint job for your home but have issues with your woodwork that have prevented you from taking that step, call our team to take care of it for you. We can help you with all your carpentry repair needs. At Prep-Rite Painting, we offer carpentry repairs in Apex, Cary, Holly Springs, Fuquay Varina, Chapel Hill, and Raleigh North Carolina.